Like it or not, along with the balmy sunny days of summer come nasty biting insects, like ticks, no-see-ums, black flies, and mosquitoes. It just doesn’t seem fair that they like to hang out in the same campsites and on the same trails that we RVers do. And if their itching reminders of their bites weren’t enough, they can also make us sick and spread disease. Most people do not get sick from a few mosquito or tick bites, but some mosquitoes and ticks can carry viruses that cause human illnesses, like West Nile Virus, symptoms of which can include headaches, joint pains, rashes, and though rarely, neurological symptoms and some deaths. The CDC says there are about 30,000 reported cases each year, but but may be much larger. One odd thing about these pesky insects, just like people, they sometimes find some people more attractive than others. Jonathan Day, a professor of medical entomology at the University of Florida, is convinced it’s mostly about carbon dioxide, which mosquitoes and ticks can detect and is how they find their victims. Some people produce more CO2 than others, like heavier people, pregnant women, and exercisers. “The amount of carbon dioxide you produce depends on your metabolic rate,” he says. But Uli Bernier, a research chemist for the U.S. Department of Agriculture, says he has seen evidence that other factors are at work over many years of exposing people to mosquitoes in his Gainesville, Fla., lab. He’s seen different mosquitoes zero in on different people. It has also been found that some people seem to become more attractive to mosquitoes over time, and alcohol, in particular, seems to attract mosquitoes. So if you are a 250-pound weight lifting pregnant RVer and you just finished your heavy weight workout in your campsite and are chilling out with a beer, look out, you will be the mosquitoes’ number one target. Some repellents work well, others don’t. CDC says you want one that includes DEET (N,N-diethyl-meta-toluamide), picaridin, oil of lemon eucalyptus, or a chemical called IR3535 are effective. But while DEET products have long been thought to be the most effective, recent tests by Consumer Reports gave the edge to picaridin and oil of lemon eucalyptus. Wear long sleeves, pants, closed shoes and socks for a walk in the woods. Spray a repellent called permethrin on clothing and gear. Check yourself for ticks when you go inside. 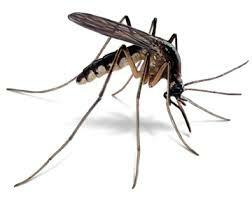 For around your campsite, sit next to a fan as mosquitoes perform poorly in a wind, losing the ability to fly well. For more RVing articles and tips take a look at my Healthy RV Lifestyle website, where you will also find my ebooks or link directly to the buy page with the following links: 111 Ways to Get the Biggest Bang for your RV Lifestyle Buck (PDF or Kindle), BOONDOCKING: Finding a Perfect Campsite on America’s Public Lands (PDF or Kindle), Snowbird Guide to Boondocking in the Southwestern Deserts (PDF or Kindle), The RV Lifestyle: Reflections of Life on the Road (Kindle reader version), and my newest Boondockbob’s Guide to RV Boondocking (Kindle). NOTE: Use the Kindle version to read on iPad and iPhone or any device that has the free Kindle reader app. Johnson and Johnson Creamy Baby Oil works the best for me…at keeping the skeeters away! !